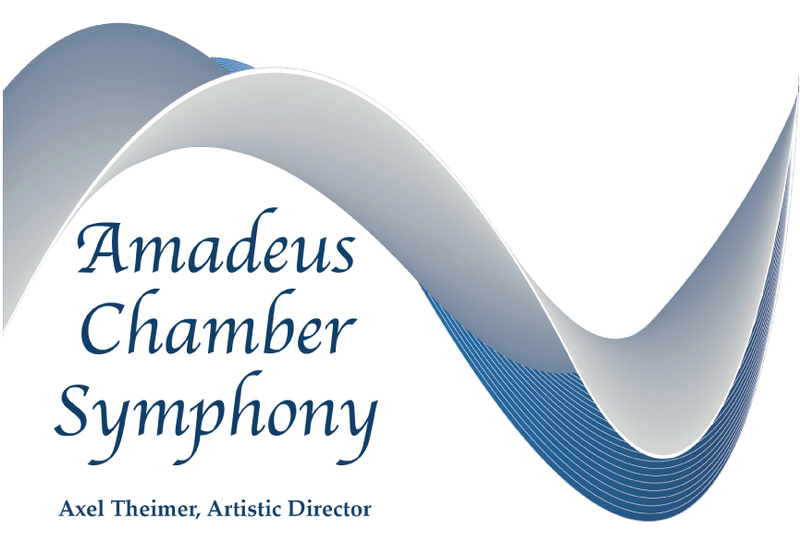 The Amadeus Chamber Symphony has been performing in the St. Cloud area and throughout Central Minnesota for the last 24 years. Most of the members of the ensemble are musicians from Central Minnesota, and many have been with the ensemble since its beginnings. The orchestra was formally established in 1990 although its roots go back to 1971, when Axel Theimer, then in his second year on the CSB/SJU Music Department faculty hired an orchestra to be part of the choral department’s performance of Gabriel Faure’s ‘Requiem’. Harvey Waugh (SCSU) was concertmaster, Dave Ernest was one of the oboists and Jim Johnson, still a member, played (and still plays) viola and, when needed, the violin. Since then many of the finest instrumentalists from Central Minnesota have contributed to the success of the ensemble, who’s main mission remains to perform music written specifically for chamber orchestra, but also includes programming of major symphonic works by composers such as Mozart, Haydn, Beethoven, Schubert, Schumann, Mendelssohn and chamber orchestra gems by Finzi, Barber, Dello Joio, Warlock, Delius, Wagner and others. For many years we have invited recommended high school string players from the St. Cloud area to join us for our annual “Share a Stand” concert, an event we plan to continue in the future. It gives young musicians the opportunity to participate in the performance of major symphonic works – alongside the ‘permanent members’ of the orchestra – they share a stand, as they share their love for making music. The 2013/2014 concert season includes two performances in the city of St. Cloud, giving more music enthusiasts and lovers of great orchestra music the opportunity to hear the orchestra, without having to travel to the campus of Saint John’s University. We are also thrilled to be part of this new Classics 101Concert Series at the Paramount.